The taco lime grilled shrimp from the creamy avocado zucchini noodle pasta with taco lime grilled shrimp was so good that I just had to break it out into it's own recipe! I mean it's so nice and easy to make and oh so finger licking good! You can use it is a ton of different recipes from tacos, to quesadillas, to pastas, etc. or you can even just eat straight off the skewer (that's where the finger licking comes in!)! You pretty much just need to marinate the shrimp in a mixture of lime juice and a tasty homemade taco seasoning, skewer it and grill it up! 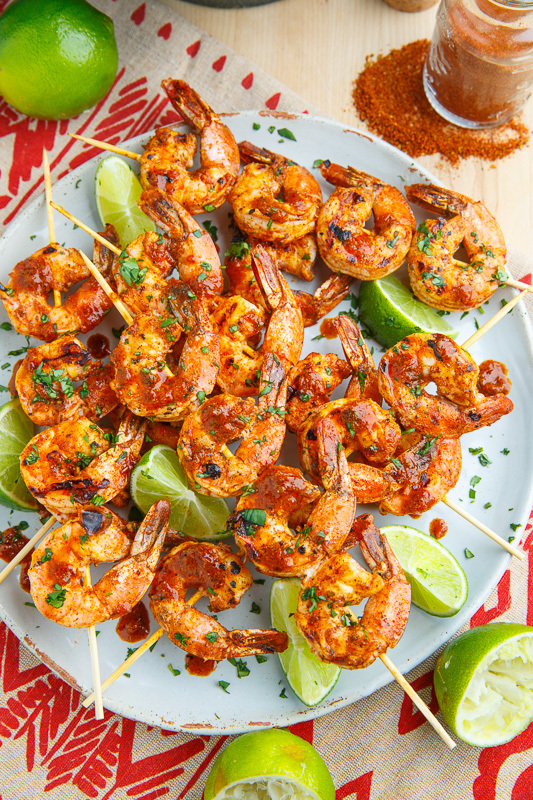 There is just no way to go wrong with grilled meat on a stick and this taco lime grilled shrimp is sure to please! Taco and lime seasoned shrimp skewers that are grilled to perfection! 0 Response to "Taco Lime Grilled Shrimp"